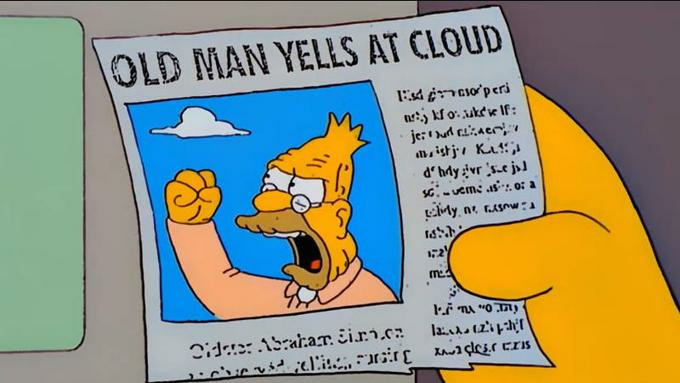 Not to be too “old man yells at cloud,” but I realized the other day that the average freshman entering college this fall probably has no idea what it’s like to not have any song they want to hear available within moments. These lucky individuals will never know the torment of waiting half an hour for one 30-second clip of the new Weezer single to load over that 28.8k modem connection, praying no one calls to interrupt the transfer so you can finally — finally — hear that sweet music that sounded like it was played through a bad AM radio dropped down a running garbage disposal. But in the late 1990s that was the life. That was the future. I once spent almost four hours downloading a single song — a cruddy .WAV rip of a new R.E.M. song — that I then played through two cruddy computer speakers with a microphone hooked up to my dad’s tape deck sandwiched in-between, just to have the song on a cassette. Now I can have any song playing within 10 seconds of picking it, no matter where I am. Sometimes you have to look back to appreciate how terrible even the most state-of-the-art advancements were at the time. So I did. Here you’ll find a ranking of seven ways we’ve listened to music in the last 25 years or so. It’s a shout-out to the tools we used before the likes of Spotify, Apple Music, and Pandora. This isn’t exhaustive by any means (the world was flooded with software and apps … and probably always will be). Just wait another 25 years, when Blue Ivy’s comeback album is streamed directly into our skulls nanoseconds after we think about it. You were too beautiful for this world, Zune. Sorry, had to get that out of my system. The Zune remains one of tech’s biggest flops, at least since the year 2000, if not ever. When it was released in 2006, Microsoft’s personal music player tried to horn in on a market that was already becoming saturated with Apple’s superior and sleeker iPod, which had hit shelves years earlier. If the Zune was destined to play catch-up, then the infamous “Leap Year” bug that bricked a certain model of the device at the end of 2008 was probably the final weight that dragged any hope to a halt. The device developed a cult following, but that didn’t raise it above the level of the Newton of the new millennium. It’s like a CD player but with an option to record. And smaller. And more expensive. And much harder to find. Like Betamax was to VHS, the Minidisc player offered a lot of advantages over cassettes, which it was aiming to replace, and compact discs, the other emerging technology. But, as with Betamax, the Minidisc wasn’t as cheap as its competitors, a factor that helped lead to its eventual demise after repeated efforts to rebrand it. RealPlayer lives to this day, but I best remember its original incarnation, which allowed you to stream audio and video files straight from the web before Spotify and YouTube. In a way, RealPlayer was ahead of its time, one of the first to offer users this ability. However, my experiences were not always great. (That was more a product of circumstance than indicative of poor player quality.) Since it debuted before high-speed internet become affordable and widely available, streams often lagged and sputtered. And coming before more compressed forms of audio and video became widespread, music often sounded like a messy AM-quality version. The company seems to have a warmer memory of the software than I and other users do. But, credit where it’s due for being there early. Compact discs on the go! I’ll always remember having to haul at least one small binder of CDs every time I traveled with my Discman, and then having to hold the portable player as I walked. Eventually, I figured out how to wrap the Discman in a T-shirt and leave it in my backpack, stretching the headphones out to keep listening even while I walked. I’d have to stop and dig back in to switch out CDs every so often. When it became easier to burn your own mix CDs, that meant less CD swaps, but it didn’t do away with the skipping or bulky size of the Discman itself. Look, it’s not that I’m not grateful for having a Discman. I could listen to it on the go, plug it into a stereo, or even plug it into my car and listen to it over an unused FM frequency (hello, static) when I drove all over the place in college. For those of you who are under 20 years of age, we really did have some incredibly weird ways of listening to music in our cars. True story: When I began running on a regular basis in 2004, I was too poor to afford an iPod, and running with a Discman is pretty much impossible due to its awkward size and the fact that the CD would skip endlessly. So I bought a cassette Walkman, even though this was the same year the Walkman included a line of MP3 players (again, steep prices). It was small enough to fit in my hand while I ran, and the earphones were relatively unobtrusive. Plus, for longer runs, it was easy to flip my mixtape over and keep running, no fumbling with discs. And at this time, there were 120-minute cassette tapes to far outlast any 70-minute mixtape I could put together. Say what you will about cassettes and Walkmans becoming obsolete. For a small window in the early 2000s before iPods and everyone had smartphones, they still had a purpose. Or at least they did for me, and this my list, so here we are. Oh, Napster. You were trouble from the start, but you pushed music into the digital age. The music industry was dragged into the digital music era thanks to Napster, which allowed us to download tons of MP3s from our favorite bands and listen to them right then and there. Sure, it was illegal as hell, but it was so easy to use and flooded with music you wanted. (There were several downsides.) Still, there’s no under-selling the impact Napster had when it debuted. A whole lot of digital ink has been spilled talking about Napster, including on this site right here. But it brought MP3s to the masses and forced the music industry to get its act together. It spurred on imitators galore, was eventually shut down and forced to go legit, and, in 2011, it merged with Rhapsody. It might have been doomed from the start, but for a few fleeting moments, we saw the future. Oh, Winamp. You were the King of Music Listening Software for a good chunk of my college years and even into grad school in the early 2000s, especially before I moved from PC to Mac. In the pre-iTunes era, Winamp was the ultimate in playback software for MP3s for quality, ease of use, and the ability to play live audio streams. Video playback made for nice versatility, as did the fun skins you could download to customize the look and feel of the player. Thanks to its flexibility — supporting an incredible range of sound files from MP3 to FLAC to AAC — pretty much anything you had on your computer could be played through Winamp. And its playlist function was superb, an easy way to make hours-long lists of jams for parties or just hanging out in your dorm room. I wasn’t the only one. Winamp hit a peak of 60 million users by 2001. Nullsoft, the company that created Winamp, was purchased by AOL in 1999 for a bundle of cash ($80 million), but it was shuttered in 2013 and then sold in 2014. There is a web-based version of the player you could check out for old time’s sake, if you want. In the end, many associated with the software blamed AOL mismanagement for dooming Winamp to the scrapheaps of history and preventing it from evolving into something that could have competed with iTunes or even a streaming music service. It’s a damn shame. Rather than having an interesting competitor to those services with built-in audience loyalty, we’re left to look back fondly and remember what was. The self-paced learning programmes are the new avenue being explored by a lot of aspiring algorithmic traders which offers open and paid learning material with a practical approach. A great opportunity for aspiring traders to get a hands-on learning experience. – said Dan Comescu, Director of Firmware Engineering, Econis-Labs LLC, USA. The algorithmic & quantitative trading domain now offers some of the most appealing career opportunities. No wonder that most of the trading across the trading destinations globally have been moving towards automation.